Do you think just going to gym will do with an oily skin or greasy hair and body odor? The main reason people visit gym is to improve health, look good and to bust stress. If you are new to Gym then you probably plan to creating a checklist for your gym bag essentials. Even If you are regular and if one day that you forget your running shoes or T shirt then checklist becomes more essential. Tip: Having a gym bag helps as you can have all your gym essentials stored and is handy to use. GYM sports Duffle bag: This sports bag is suitable for women. The advantage is that it is water resistant, features strong nylon thread, SBS metal zipper and also has a zipped side compartment to keep your shoes separate. 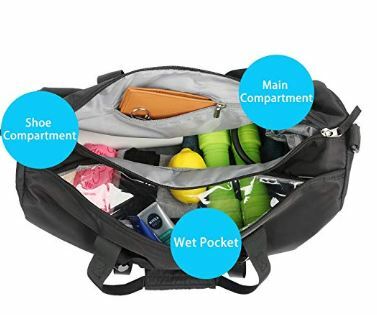 This simple duffel bag has shoulder strap adjustable, 1 pocket side mesh, two zipped outer pockets offering easy access, one main compartment mainly to keep gym clothes for women, water bottles, shoes, cell phone, wallet, headphones, keys, etc. In fact this compartment is roomy to accommodate everything comfortably. The advantage is that it comes with lifetime warranty and is available with top online shopping sites. Duffel bag well stocked offers you the confidence during the workout session and even post-workout staying fresh. 1. Workout top: It’s better if you bring an extra shift, If you have any plan of Yoga or other exercise after cardio. You can check best selling workout top here. A well-fitted sports bra is a must while you are exercising in the gym. You can try like BAOMOSI Women’s Seamless High Impact Support Racerback Workout Yoga Sports Bra , it provides the much needs support and you won’t end up with huge pain. As the breast doesn’t have any muscle or bone and definitely needs a supportive company during a rigorous workout. If you are not wearing a high quality sports bra there are high chances of tearing up of delicate breast tissues during movement. Check out the Best sports bra at amazon. Picking a perfect pair of leggings during the workout like ALLUSIVE Womens Yoga Pants. Gym Workout Pants or shorts for Girls is must as there are high chances of slipping off during workout. Always opt for the pair which remains dry during the entire workout and is perfect for all type of exercising without being too tight at the tummy. Also make sure you can easily bend and during the stretching exercises. You can check more detail on amazon. Nothing can irritate you as much as the sweaty hair getting into your face while exercising. Whatever may be the hairstyle you end up getting it on your face and annoy you along with the sweat. Opt for a hairband which can provide support to the Ponytail too. You can invest in a good Calbeing Wide Headbands for Women . If you want to workout in a ponytail it will keep your hair intact on top of your hair without slipping. You can invest small amount on hair keep your workout better.. Check more better and detail option on amazon. Get the right pair of sneakers to workout like Women Lightweight Sneakers Knitted Running Shoes Athletic Casual Walking Shoes and let the magic to happen. This will help you to run faster, absorb sweat and elevate the workout. Make sure the workout shoes are providing ample of support to the ankles and foot so that you don’t end up with twisted ankles and hurt feet. Look for the lace shoes as you can customize a little size as per your comfort. A perfect pair of gym shoes will make the long miles feel easy. So for gym purpose don’t go with look but check quality of shoes. Check out here best reviewed and quality puma gym shoes. A good pair of shoes is worthless without a comfortable pair of gym socks. Select a tough fabric as it provides a good overall workout experience without hurting your ankles. 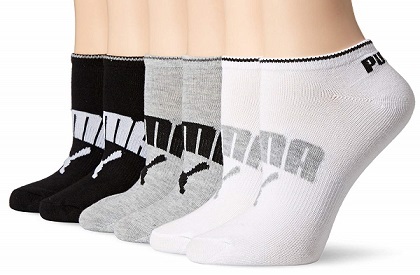 You can try Starter Women’s 6-Pack Athletic No-Show Socks A mild woollen sock is best for running and working out as it avoids the formation of blisters and the feet remain dry for a long time. You can’t compromise on the socks quality because the sweat factor can make your shoes slippery. Always make sure to use a fresh pair of socks for every workout session. There are high chances of infection such as athlete’s foot if you don’t select good socks to pair up with your workout shoes. Check out more detail on amazon. 7. 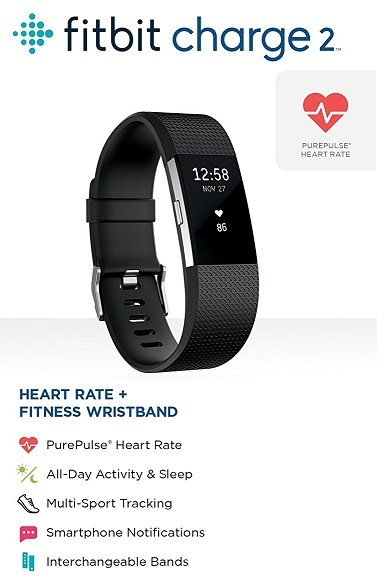 Activity Trackers: You can add lightweight wristbands in your gym bag that help in getting information like heart rate, title for particular exercise and Gap between exercise. Many wirelessly sync to your smartphone, so you can easily track your activity and stay update. this fitness band is one of the most reviewed on amazon. you can check more detail on amazon. Bacteria increases in sweat and so wipe it after the gym equipment. Even if you are unable to wash hands during a workout, these disinfectant tissues are handy. Give a good swipe after and before you sweat and combat the breakouts and ensure you are not coming smearing makeup during workout session. The secret to stay freshened always on the fly is possible if you have disinfectant tissues ready. You can wipe the sweaty areas and prevent being stinky by applying deodorant slightly. Tip: Keeps you fresh and others are motivated to follow you. Try and motivate others. Try these they are good even for the most sensitive skin. Sweating is common at the gym and also a notorious fact is emitting of body odour. Carrying a deodorant in the gym bag helps, so that you are not borrowing from others and are labelled as a cheapskate. Tip: Avoid dousing with strong perfume; just a good deodorant is enough. Keeping energy bars helps women to snack after the workout so that you stay fueled until eating a proper meal. Avoid staying hungry and to stay fueled, consider prepping your bag a little such that it can be munched on-the-go easily. Get a nutrition bar and stay energetic after the gym. These bars are suitable for all activities. Tip: Consume energy bars only after workouts and that too after consuming enough liquids. If you love to listen to music of your choice, carry your earphones and ensure you are focused. You need not get bored or irritated with the gym music played, instead please yourself with your playlist. 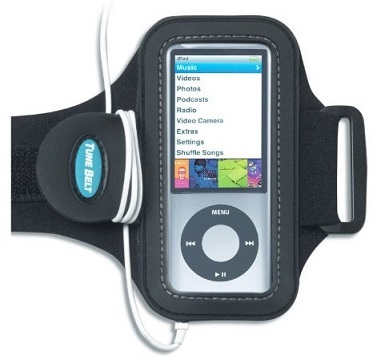 You can use your mobile phone as music player and if you are already have music player then buy armond so you can fit with your arm and listen while doing cardio or other exercise. you can check few best armond here. 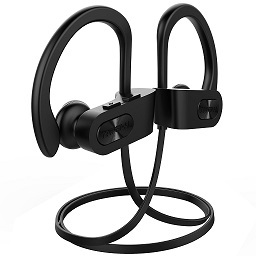 You can also use wireless earphone( bluetooth) to listen while doing exercise. You can check more detail on amazon. This is a must. Consume during workout in every 10 to 20 minutes. This may not be taken seriously by some of you, but carrying a water bottle is most important and is should have. This helps you stay hydrated. Having a reusable, empty water bottles that can be refilled on the fly ensure you need not get hydrated. Besides carrying your own is an eco-friendly option that going for the gyms provided plastic bottles. A grueling session of workout releases oils as the skin pores open up. So you must wash your face to eliminate the dirt, oil and sweat. TIP: Use a herbal gentle face wash. Check Himalaya product here. There is a need for moisturizes that are no-makeup but makeup after workout offering subtle coverage of any imperfections and reduce redness. The makeup need is a serious concern while at gym. This is because creams are subtle and addresses issues such as redness, while the BB creams ensure skin care benefits and are lighter foundation. Tip: Buy good quality ones and use it after towel drying your face completely after workout. sweating is common and when it reaches your eyes it is terrible. In fact, even your hands touching your eyes are a bummer. Avoid that slipping or sweaty hands are forehead by using the stashed towel in your bag. Tip: consider buying a microfiber as it absorbs and dries quickly. Wearing a fresh shirt as you walk out of the gym is certainly appreciated and also is an invitation of staying fresh. Feeling dry as you get back from gym even after an intense workout is possible only when you have that extra tank top in your duffle bag. It means gym clothes for women is valuable and must carry in the gym bag. You can check few good piece of tank top here. women’s gym bags coming in new designs and styles make a great combination serving practicality. You just need to know what to bring to the gym means what is gym bag essentials for women. If you are also going gym and carrying something different then please write us in comment…if we like then surely add with your name.